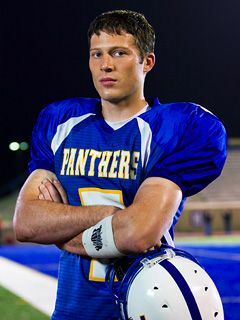 Visit Humoropedia.com for top 60 facts about Matt Saracen actor Zach Gilford. Find out what you don’t know about him and watch his interview. Zach Gilford movies and TV shows record began in his 20s. Gilford’s first role was a single episode of Law and Order: Special Victim’s Unit in 2005. Gilford refers to the show as a “right of passage." In 2006, Gilford earned a role in Friday Night Lights. This was the role of Matt Saracen which he played from Season 1 to Season 3. He was not the first choice for this role. He co-starred in Post Grad opposite Alexis Bledel and in Dare opposite Emmy Rossum. Gilford had a main cast role in the medical drama Off the Map which was cancelled after one season. In 2012, he was cast in another medical drama, The Mob Doctor on Fox, opposite Jordana Spiro; however this show was also cancelled after 13 episodes. Zach Gilford worked with the legendary Arnold Schwarzenegger in The Last Stand. He has starred in two horror movies that met with bad critical reviews. Gilford would love to do a comedy, he says, but fails to come across as funny at auditions. He hopes to hone his comedy skills to expand his range. The actor performs most of his own stunts and all of his sport scenes. Pass these facts to your friends on social media. Share this page. Originally, another person was cast to be the Matt Saracen actor in Friday Night Lights, but he turned down the role to make a Disney TV movie instead. Gilford’s least favorite story plot for his character was when Matt had an affair with his grandmother’s nurse, Carlotta. He felt that it was sensationalized and didn’t develop the character. The Saracen character is a plot foil against the “typical jocks" in the show, who party and womanize. Actor Gilford relates heavily to the character and has even made very anti-jock statements about his college years. The character likes to listen to Bob Dylan music and draw. Real-life Zach Gilford also loves Bob Dylan music. All of the football scenes with Saracen were as real as possible; the show hired a full team of former college and NFL players to fill out the scenes. Actor Gilford says his worst on-set injury, however, was turf burn. 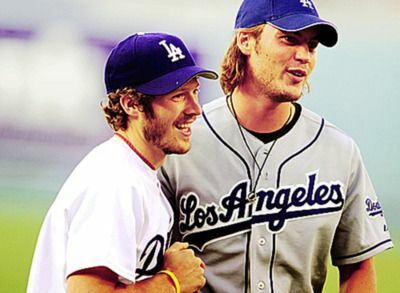 Like his character, Zach Gilford also played football during high school, but not on the school team. 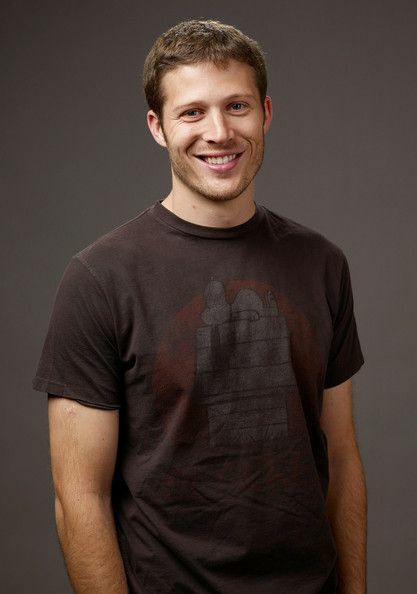 Zach Gilford was born in 1982 in Evanston, Illinois. The city is 12 miles north of downtown Chicago and home to Northwestern University, where he eventually attended college. Parents Ann and Stephen Gilford provided the only child Zach with a mixed Swedish and Russian Jewish heritage. A sizeable Russian Jewish community was present at Zach’s high school, Evanston Township High. Gilford served as a Trip Leader for Adventures Cross-Country and led wilderness and adventure trips for teenagers to Alaska, British Columbia, California, Hawaii, and the South Pacific. Before he was an actor, he worked at YMCA Camp Echo in Fremont, Michigan. During his time as at Northwestern University in the theater department, Gilford temporarily lost his lifelong love of the University’s football program, the Wildcats. He cites the reason as the players being “jerks." On kissing the young Aimee Teegarden on Friday Night Lights, the eight-year older Zach Gilford said it was “awkward" because she was the age of his campers. Gilford was extremely athletic and even played football like his character in Friday Night Lights. One of his costars on this show was Lyla Garrity Actress Minka Kelly who was chosen in 2010 as the Sexiest Woman Alive by ‘Esquire’ magazine. Gilford convinced his dad to buy them kayaks when he was in high school, and the two would go out together on Lake Michigan. Once, when he nearly drowned on the lake, his father laughed and said “I could watch that ten more times!" Gilford knew from the age of ten that he wanted to be an actor and has a huge knowledge of the field. Gilford still travels home to Evanston often to visit his parents, and stays in his childhood home while there. The actor has traveled to Belize to do a fishing special for the Outdoor Network. Gilford refers to himself as a nice guy, saying, “People always think of me as the nice guy, the guy you’d want to bring home to mom." Gilford has been nominated for three awards, including the Gold Derby, Gotham, and MTV Movie awards. 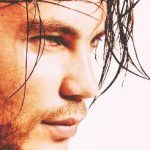 He won as a breakthrough performer for his role in Dare . Gilford prefers a quiet life with his beautiful wife, Kiele Sanchez, and turns down roles that would keep them separated for more than two weeks at a time. Jesse Plemons, who played Landry Clarke on Friday Night Lights, is still one of Gilford’s best friends. As an adult, Gilford says he remains distant from many family members but is close to his father. Curious about Zach Gilford net worth? The actor is reported to be worth approximately $6 million. The young actor earned his first million just after his 30th birthday. Gilford now makes his home in Los Angeles with his wife. Zach Gilford and Kiele Sanchez met in 2010 as costars on The Matadors. They were engaged a year later in 2011. When Gilford proposed to Sanchez at City Hall and she said “yes," they got kicked out by a security guard for kissing in public. Zach Gilford wedding was shot by the famous photographer Jonas Peterson. The two lost a baby in a late-term miscarriage in 2015. The couple took a two-week, adventurous honeymoon in Asia. Forty-year-old Kiele Sanchez also hails from the Chicago area and has attended Glenbard North High School. Gilford and Sanchez own a dog named Pippen after Scottie Pippen of the Chicago Bulls. The two drank moonshine from Mason jars at their wedding, and generally prefer a “low-key life." The celebrity couple have teamed up to play Poker for Charity. Dedicated fans will know about the Zach Gilford Taylor Swift connection. In 2011, Gilford played Swift’s love interest in the music video for her hit song “Ours," breaking fans’ hearts everywhere. Mega-star Taylor Swift handwrote Gilford a must-have list for his time in Nashville. Gilford directed a football scene while on set for his first feature film role. The reason? The film was shot in Iceland where no one was familiar with football except sports fan Gilford. The actor loves kayaking and takes trips to Alaska to do so. Gilford’s first big purchase after getting paid for Friday Night Lights was a 50-inch TV. He purchased it to outdo his costar, Tami Taylor Actress Connie Britton, who had bought a 42-inch one. He was still driving his father’s car at that time. The actor likes playing “Angry Birds," although he says it is a waste of time. Before iPads, he used to read a lot, looking up to the words he didn’t know to improve his vocabulary. Gilford’s favorite word is “abscond." Zach Gilford is frequently stopped by strangers who say he “looks just like that guy from Friday Night Lights“. Gilford’s family still says, “Fine! ‘Cause I don’t like your ugly face!” to each other because they once overheard a little boy yell it to his mother at a candy store. Gilford has a tattoo that says “Pip 33" (after the Chicago Bulls player) on his left calf. His friend did the artwork when they were just 13.